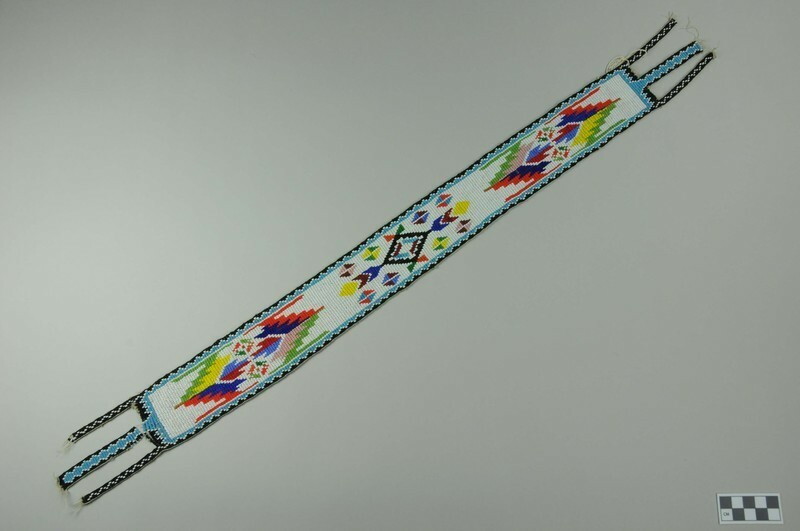 Wide, beaded belt with no backing. The design has a white background with multi-colored geometric designs and 3 tails at each end. The base colors used are white, light blue, and black. The design colors include: dark blue, periwinkle, yellow, orange, dark green, light green, pink, and red. Dimensions include fringe. *VERY FRAGILE.